The military allocates untold monies and resources to treating post-combat stress. Now, for the first time, research is being conducted at the nation’s oldest, private military college, Norwich University in Northfield, Vermont, to determine whether the Transcendental Meditation technique may provide an important addition to the promoting of resilience among military men and women to prevent the trauma in the first place. 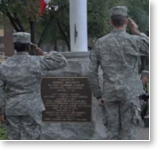 Norwich is the birthplace of the Reserve Officer Training Corps (ROTC), and was the first military school in the nation to accept women. Click on the orange play button below to listen to a report by Vermont Public Radio’s Steve Zind on the progress of this important research. It is not easy being a “Rook.” Freshman cadets at the nation’s oldest military college are overworked, sleep-deprived, and are way, way down in the campus pecking order. That’s how Ray Witkowski felt until he started meditating. Witkowski’s platoon of freshmen cadets spends twenty minutes twice a day meditating. 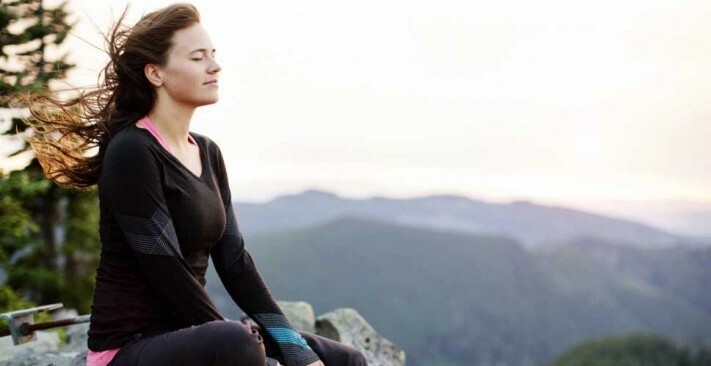 They’re part of a research project to measure the effects of Transcendental Meditation. TM has been around for years. It generated a pop culture buzz when the Beatles went to India in 1968 to study with the Movement’s founder, Maharishi Mahesh Yogi. Over the decades there have been scores of studies showing TM’s ability to reduce stress and improve performance. That appears to be true for the Norwich cadets too. Bandy is surprised though by what she calls positive growth indicators that show a level of personal development among the TM users. The Norwich study is using electronic imaging to quantify the changes that TM brings about in the brain. To do that, cadets don what looks like a black bathing cap bristling with wires. Their brain activity is measured as they respond to audio stimuli and images, like a photo of a car accident. In the coming months the brain patterns of the meditating cadets will be compared to a control group to chart the differences. 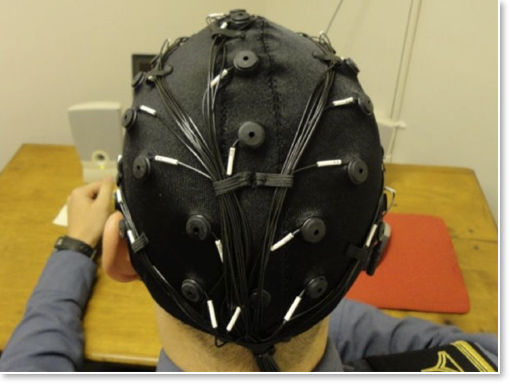 A Norwich University cadet wearing a cap designed to monitor brain activity. TM has already been studied as a way to treat post-traumatic stress disorder. In the 1980’s, one study concluded that it reduced depression, anxiety and substance abuse in a group of Vietnam vets. Last year a pilot study showed a reduction in PTSD symptoms among veterans of the Iraq and Afghanistan wars. Bandy says that the Norwich University study will break new ground by following these cadets into their military careers as officers. Tracking the students for seven or eight years might provide clues whether TM can used as preventative medicine, essentially inoculating soldiers to protect them from the most severe effects of combat stress. Before signing on to the study, Norwich University president Richard Schneider says he took some convincing. Schneider says he went through the TM training himself. He acknowledges that the technique conjures up stereotypes of some kind of magical mystery tour in the minds of people his age. The experiment has aroused some curiosity at Norwich. 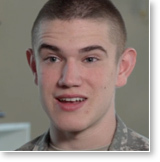 When word got around that his platoon was practicing TM, cadet Ray Witkowski said he took some ribbing. 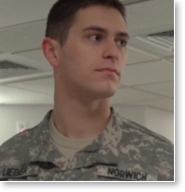 The platoon sergeant is Sam Lieber. He sees a difference in how his group of freshmen handle the rigors of cadet life in comparison to the Rooks that aren’t doing TM. Freshman Richard Wells is also a member of the meditating platoon. He says that TM has helped him with attention deficit hyperactivity disorder which has hampered him all his life. The potential benefits of TM to blunt the trauma of combat are a central part of the Norwich study. Researchers are also interested in determining if these young will perform better when they’re active duty military. Norwich President Richard Schneider quotes one Army general who speculated how TM might benefit them in combat. And this is where you might imagine some tension between the military’s goals and the ideals of those who teach Transcendental Meditation, which has long been touted as a path to both inner tranquility and world peace. 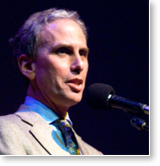 Bob Roth is vice president of a foundation established by filmmaker David Lynch who is a long-time TM practitioner. The David Lynch Foundation is providing training and financial support for the Norwich study. Roth says that there is no conflict between TM’s ideals and using the technique to make better soldiers. Roth points out that TM’s origins go back thousands of years to a time when it was used by warriors to prepare for the rigors of battle long before the Beatles helped bring Transcendental Meditation to the attention of the western world. For VPR News, this is Steve Zind.